We bring the full arsenal of our capital, relationships, and experience to position the teams we work with for outsized success. Andela invests in Africa’s most talented software developers to help leading tech companies build high-performing engineering teams. 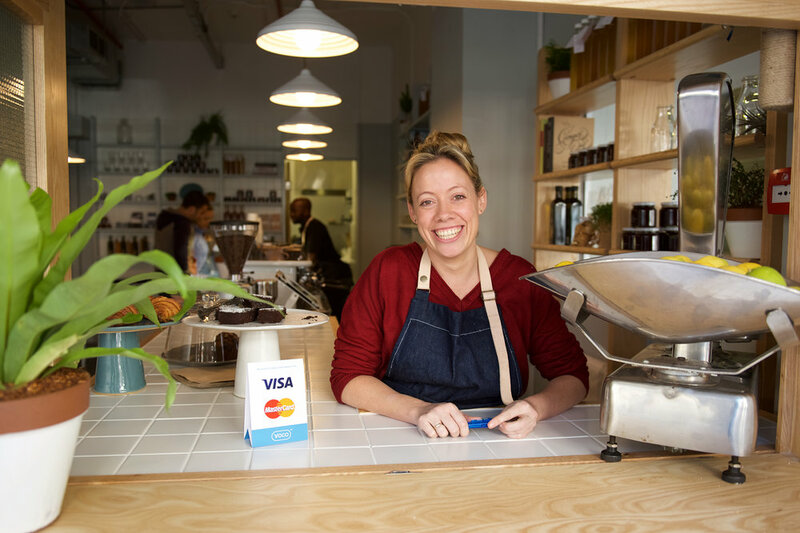 Yoco is a South African mobile point of sale (mPoS) provider, enabling merchants to accept chip and PIN cards on the go or at a point of sale, using smartphones or tablets. Timbuktu is an online travel agency targeting the Sub-Saharan African safari travel market. SweepSouth provides on-demand domestic cleaning services in South Africa, matching clients with pre-screened contract-cleaners. This blog summarizes Flutterwave’s successes in 2018, using eye-catching infographics. Successes included a 550% increase in the customer base of Flutterwave for Business (Rave) and completion of the Series A extension round of financing in October. This list by Condé Nast includes greats like Sir David Attenborough, Elon Musk, and Massimo Bottura. It also features Cherae Robinson from Tastemakers Africa. This piece by The Guardian reports that Great Place to Work named CRE portfolio company Andela as the Best Company to Work For in Africa (Large Employer Category). Andela also won Fun and Friendly Workplace and Best Workplace for Generation – Millennials. In this 2018 watch list, the Wall Street Journal spotlights twenty-five emerging companies in the technology sector. CRE portfolio company Andela claims a spot among these noteworthy businesses. Rensource, a distributed power provider, has just raised an additional US $3.5 million in funding. Among other uses, the new funds will help expand operations into Kano and Abuja and allow Rensource to launch its “Powered by Rensource” offering that enables businesses to leverage Rensource’s infrastructure with the goal of energy independence. This press release from Mastercard announces a collaboration with CRE portfolio company Yoco to roll out 15,000 mobile Point of Sale (mPOS) devices to small and medium-sized businesses by the end of 2017, while also educating these businesses on the benefits of going cashless. In this post on Medium, CRE portfolio company Flutterwave welcomes its partner TransferWise to Nigeria and discusses how this partnership will enable customers in the UK and around the world to use their debit cards or online banking accounts (via the TransferWise website and mobile app) to send money to family and friends in Nigeria. This article in Disrupt Africa provides an update on Yoco, who has just launched their free point of sale solution that integrates with their card readers and gives businesses a suite of tools to help them grow. We are proud to have led Andela's Series C round, which raised $40 million and is one of the largest investments ever led by an African venture firm into an Africa-based technology company. We wish to thank DBL Partners, Amplo, Salesforce Ventures, and TLcom Capital for their participation in this round. In a Refinery29 article titled "29 Powerful Women Reveal Their Success Secrets, Leadership Tips & The Awful Advice They Didn't Take," SweepSouth's co-founder, Aisha R. Pandor, reflects on her journey shaking up the domestic cleaning industry with technology. The U.S. Department of State’s Bureau of Economic and Business Affairs awarded six companies the 2016 Secretary of State’s Award for Corporate Excellence (ACE). This award recognizes U.S. companies representing American values in their business practices while contributing to the growth and sustainable development of the local economies in which they work. CRE portfolio company Andela took home the award for Corporate Excellence in Small or Medium Enterprise. Pule is a Founding Partner at CRE Venture Capital. He previously founded Africa Angels Network, the first angel investment group to focus on Sub-Saharan Africa. Prior to that, he held several investment roles at Investec in Johannesburg, Cape Town and New York. He is graduate of the Durban University of Technology and is a Kauffman Fellow. Pardon is a Founding Partner at CRE Venture Capital. He was previously a Principal at EL Rothschild in New York and London. Earlier on, he worked at Bain & Company in New York, at Emerging Capital Partners in Johannesburg, and at Temasek Holdings in Singapore. He is a graduate of Princeton University and the Wharton School of Business.